Concept drawing of a new Tucker Recreation Center contained in the draft Tucker Parks and Recreation Master Plan. Source: City of Tucker. Image obtained via the city of Tucker. Residents of Tucker want improved city parks with nature trails and trails to get to them, a consultant told Tucker City Council members at their meeting Monday night. Presenting the initial draft of the city’s new Recreation and Parks Master Plan, Steve Provost, vice president of Barge Design Solutions, the engineering and design company working with the city, said responses to its public meetings and survey indicated that residents’ top priorities were upgrading the condition of the existing parks, adding loop nature trails inside parks, and linking the parks to the planned city-wide path system. Other key priorities were adding restroom facilities, dog parks, gardening areas, better playgrounds, improving accessibility, and developing a large community event space. 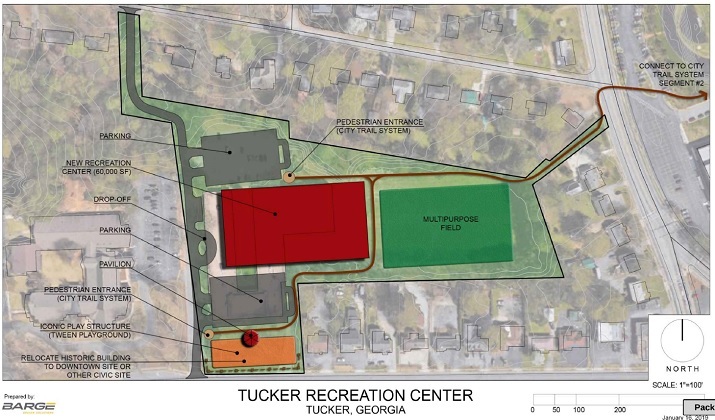 Tucker assumed control of its parks from DeKalb County in April of 2018 and began the process of developing a master plan in May. The presentation to the council is an update on the progress made by the steering committee working in partnership with the design firm, Provost told Decaturish. A final plan presentation will be presented to the council in the spring, planned for March or April, to seek formal adoption. The plan is designed to be implemented over the next 10 years to meet the city’s current and projected recreation needs. The city may adopt all or part of the final master plan. And, they may decide to include just the planning and design of some of the recommended elements in this master plan, deferring construction for the next planning cycle. Although detailed cost estimates were not a part of this initial draft process, Provost estimated that the recommended park improvements would cost around $15 million. 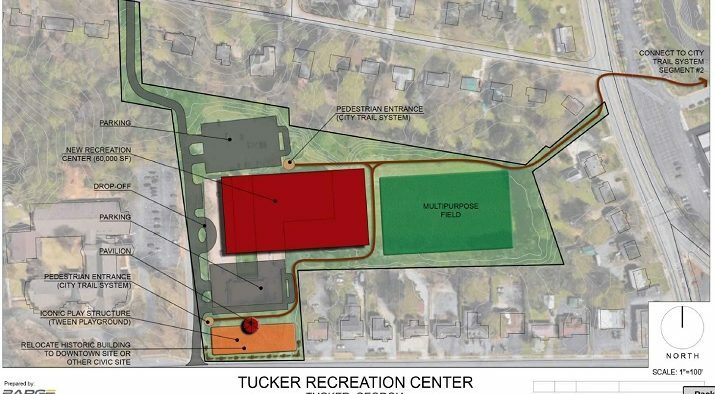 Another estimated $15 million would be needed to complete a recommended overhaul of the Tucker Recreation Center on LaVista Road. The draft master plan contains 11 draft park concepts detailing expansions and improvements planned for the different city parks, plus recommendations for the new recreation center. As the city is also undertaking master planning processes for transportation and development of a city-wide path at the same time, Barge has been cooperating with the firm doing the path design, to ensure the plans are compatible, Provost said. Smoke Rise Crossing – A mostly undeveloped 5.6 acre park along the northern side of Lilburn-Stone Mountain Road near the intersection with Hugh Howell Road. Improvements call for adding a small parking lot, adding two new pedestrian entrances, creating a pavilion overlooking a small stream that runs through the park, adding a crosswalk to the nearby intersection of Lilburn-Stone Mountain Road and Old Stone Mountain Road to improve pedestrian access, and making a segment of the existing trail ADA-compliant. Smoke Rise Park – A 10.5-acre park, also in the Smoke Rise area of Tucker, on the southwest side of Hugh Howell Road across from Smoke Rise Elementary. The draft concept calls for a possible expansion of the park to the west, along Silver Hill Road, that would feature parking a restroom building, playground, pavilion, and a new pedestrian entrance. This would require the city to acquire property it does not currently own, Provost noted. Other improvements would be to connect the existing nature trail to the planned city trail system, provide improved pedestrian crosswalks across Silver Hill Road and Hugh Howell, and add two new trail heads as well as a boardwalk and picnic pavilions. Lord Park – A large greenspace in the middle of a residential neighborhood, Lord Park is bordered by Smoke Rise Drive, Bahia Mar Circle, Gunstock Drive, and Militia Drive. The draft concept calls for the construction of a parking lot and main park access from the end of Smoke Rise Drive, a two-acre woodland dog park, nature trail throughout the park, restrooms, a 12,600-square foot playground, picnic pavilions and adding pedestrian access points from Militia Drive on the north side of the park and improving the existing pedestrian access from Bahia Mar Circle on the south side. Montreal Park – A nine-acre neighborhood park located in the southwest part of Tucker at the corner of Montreal Road and Alcan Way. The draft plan calls for the addition of a new park entrance and parking lot on Alcan Way, improvement of the current pedestrian access at the end of Montreal Way, creation of a large playground and play meadow near the Alcan Way entrance, as well as restrooms, and a picnic pavilion there, a 1.5-acre dog park and additional pedestrian entrances along Montreal Road and Alcan Way. Near the pedestrian entrance from Montreal Way, the plan would add a sand volleyball court, open meadow, a smaller playground, and another picnic pavilion. An ADA-compliant nature trail would be constructed throughout the park. Peters Park – A 3.6-acre neighborhood park located at the end of Clark Drive in south-central Tucker. The draft concept calls for a possible expansion of the park to its west along a branch of the South Fork of Peachtree Creek. The new parcel would include: more parking, a bocce ball court and horseshoe court, picnic pavilion and expansion of the existing park nature trail, as well as connections to the planned city trail system. Other park improvements would include: a stream overlook, new pedestrian entrances and improved parking. Tucker Nature Preserve – A 12-acre passive park located near the intersection of Lawrenceville HIghway and Old Norcross Road. Under the draft master plan, the nature preserve’s purpose would be expanded to function also as a nature education center, with development of a covered outdoor classroom space, natural playground, community garden plots, pavilions, as well as adding a parking lot. Kelley Cofer Park – A 23-acre park in the north central part of Tucker. Cofer is an active park with a swimming pool and baseball and softball fields. Planned improvements call for upgrading the baseball/softball fields, reopening the snack bar/concession stand, providing scorebox access, upgrading the pool house and adding an expanded splash pad. The plan also recommends improvements to pedestrian connectivity across N. Park Road, which bisects the park, adding a large loop multi-use trail and connecting the park to the planned city-wide path system on two sides. Henderson Park – A large “regional scale” park on Tucker’s north side. The main recommended changes would add a long stretch of the planned city-wide multi-use path through the park, crossing Lake Erin, improving connectivity between both sides of Henderson Park and improving access to the park for the rest of the city. 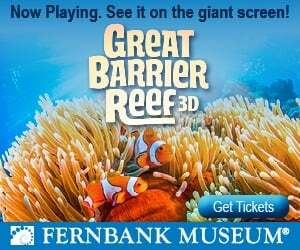 Johns Homestead Park – Additions would include a paved driveway and small parking lot, restroom facilities, and a soft-surface nature trail throughout the site. The park would also be connected to the city-wide path on two sides. Westwood Drive Pocket Park – A small neighborhood greenspace, the plan would preserve it as passive rest area, Provost said it is included in the plan to demonstrate how small pockets undeveloped land could be a way to expand the park system. Tucker Recreation Center – The draft calls for replacing the aging existing building with a modern, 60,000 square-foot recreation center, adding a large multipurpose field, an additional playground targeted for older, “tween-age” children, and path connectivity to Tucker High School and the city multi-use path. Drawings of the different park concepts are available in the copy of the presentation made to the council, included in the agenda packet for the Jan.28 meeting, posted online here. You can submit feedback on the plan to parks@tuckerga.gov. – The council re-appointed the five current members of the city Planning Commission, with the new terms to be staggered so that all positions, in the future, would not come up for reappointment at the same time. Commission members Jessica Vargas, Steve Smith, and Frank Sapp will serve one-year terms from today, while Michael Thomas and Katherine Atteberry will serve new two-year terms. – Council members voted to approve a contract for design and engineering services with Lowe Engineers in the amount of $34,430 to support the construction of a sidewalk along the south side of Elmdale Drive. The current expenditure will support the initial engineering studies for the project, and allow the city to seek federal Community Development Block Grant (CDBG) funding to construct the sidewalk.